Numbers Matching 351 cui Cleveland engine with 2 barrel carburetor. Automatic 3 speed floor shift transmission. Painted factory (one repaint) Medium Bright Yellow (code 6E) with Black Mach 1 stripes. Factory Ginger Knitted vinyl bucket seat interior. Power front disc brakes. Power steering. Factory Ordered Air Conditioning. Dual exhaust with manifolds. Padded dash. Deluxe seat belts factory ordered. Remote driver-side mirror. Factory gauges showing what is believed to be 59,670 miles on vehicle. Pioneer AM/FM/Cassette radio. Painted dual sport mirrors. Rear spoiler. Rear bumper guards / rub strip. 14″ American Racing wheels with BFGoodrich Radial T/A’s (comes with factory wheels in trunk). Car sold new in Downtown Ford Sales Sacramento, CA. California car until 2003. 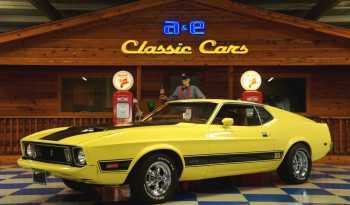 Comes with Deluxe Marti Report proving to be True Mach 1 Mustang and factory build sheet. 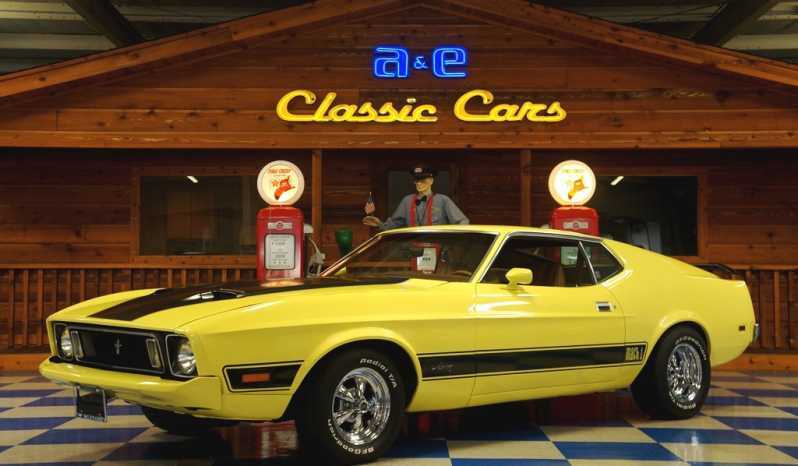 Call (830) 629-4843 for more information on this or any 1973 Ford Mustang Mach 1 for sale in our inventory. 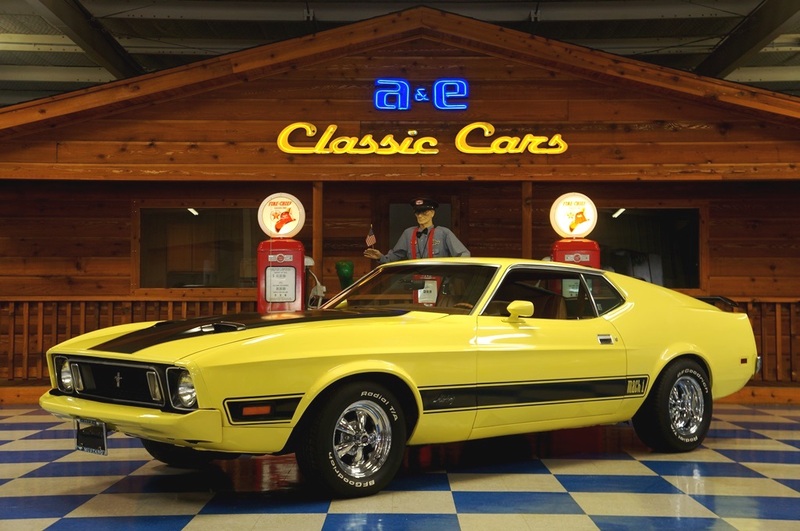 Take a blast to the past with this factory ’73 Mach 1 for SOLD!! !